To say Dr. Edith Mitchell, our 2015 Potamkin Prize Winner, is accomplished would be an understatement. She’s an oncologist, a clinical professor, a researcher, a triple-negative breast cancer expert, a Brigadier General, a mother, a wife and a humanitarian. The list goes on from there. 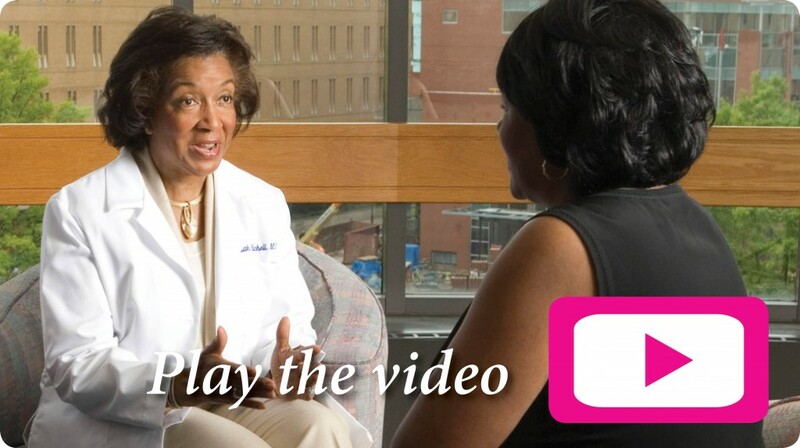 Dr. Mitchell currently works with breast cancer patients and students at Thomas Jefferson University Hospital’s Sidney Kimmel Cancer Center and serves as President of the National Medical Association. The Vivian and Meyer P. Potamkin Foundation Prize for Breast Cancer Research is an annual award presented to an individual who is performing outstanding or groundbreaking work in the field of breast cancer research. It is someone who demonstrates vision and commitment to providing the best possible treatment and outcome for patients, and leadership in the breast cancer community. Dr. Mitchell embodies that commitment, making breakthroughs in triple-negative breast cancer research and treatment while caring for patients every day. 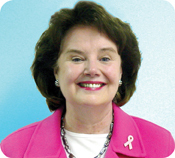 Her work has made a direct impact on the women served by the PA Breast Cancer Coalition, and throughout the world. Congratulations, Dr. Mitchell! Will YOU join us in honoring Dr. Mitchell on Monday, October 5? 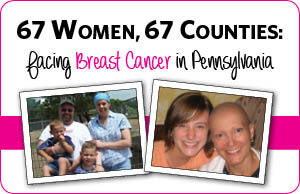 Register today and experience Pennsylvania’s premier statewide breast cancer conference. Make a day of it! Posted By PA Breast Cancer Coalition on August 17th, 2015 at 9:15 am | 0 comments. I was 38 years old and had done breast self-exam regularly but hadn’t found this lump. It was deeper than I could feel but the injury may have pushed it forward. I had chest X-rays done and the doctor said you need to have a mammogram. I went to Geisinger Women’s Imaging Center and learned I have dense breast tissue. I had a lumpectomy, 33 radiation treatments and then went on anastrozole. My family was very supportive. 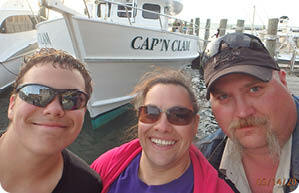 We were up front with our 12 year-old son Chase. He understood and was there to help me whenever I needed him. I teach toddlers at Little Meadows Learning Center and my co-workers brought us food and helped with gas money. To this day, my friends still check on me. My friend Barb Bowman had been diagnosed with breast cancer before me and she encouraged me to go to the PBCC Conference. She said it would help me to learn how to move forward and live my life. That conference was amazing! The classes were great; I feel like I learned so much. The vendors were a big help too. I wasn’t sure at that time if I’d have to have a mastectomy and at the conference I was able to see and feel a prosthesis and know what it would be like if I had a mastectomy and didn’t have reconstruction. Now I tell other women not to be afraid to go to the doctor if you find something. It’s important. It took cancer to settle me down but now I know my life is my life and I’m going to live it the way I need to. I’m living a happier life. The Pink Daisy Project offers short-term assistance for women under the age of 45 who are within three months of breast cancer treatment or reconstruction. The organization provides gift cards for groceries, gas, and restaurants in order to offset the increased expenses in your budget during treatment. How can you apply? 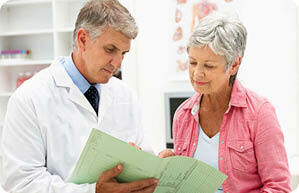 As part of the application process, your oncologist must verify your age and date of diagnosis. To receive an application, send an email to info@pinkdaisyproject.com. 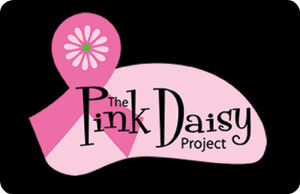 To learn more about the Pink Daisy Project, click here to visit the website. What Do YOU Need to Know about Dense Breasts? So, you have dense breasts… what does that mean? What do you do now? A website, created by experts (including our 2015 Conference Pink Ribbon Awardee Dr. Wendie Berg) and breast cancer survivors, answers those questions and more. DenseBreast-Info.org provides visitors with a clear picture of breast density along with materials you may find helpful when talking with your doctor like a breast cancer risk checklist, a screening chart, educational videos and more. DenseBreast-Info.org offers the latest information, images and frequently asked questions for women who may want to learn more about what it means to have dense breasts. To visit the site for patients, click here. To visit the site for medical professionals, click here. Posted By PA Breast Cancer Coalition on August 14th, 2015 at 11:07 am | 0 comments. The Pennsylvania Breast Cancer Coalition is offering a wide range of experience in all aspects of non-profit operations and programming, public relations and event management through assisting the Executive Director and other staff as needed. • Attend fundraising and grassroots partners events as a representative of the PA Breast Cancer Coalition. This position has flexible hour which are primarily on weekdays but could include some weekend hours depending on the fall event schedule. It is for up to 20 hours per week and pays $10 an hour. The length of the internship will vary depending on the student.